Before I begin my used Billy Cook Arbuckle Wade Ranch Saddle review, I want to talk to you about the benefits of buying a used ranch saddle. And then at the end of my review, I’ll tell you where you can buy high-quality used saddles. Out of the three benefits I’ve listed, I’d say that the biggest benefit of buying a used ranch saddle is that it’s broken in already. Well, as a rancher, if you’re cutting (or roping), the last thing you need to be focused on is whether your saddle seat is comfortable, or if your saddle truly fits your horse. I recently wrote a review on Billy Cook saddles in general, so I won’t go into detail about how great the Billy Cook brand is. If you want to read it, click here. However, I do want to say that because Billy Cook saddles are made with the highest quality materials, purchasing a Billy Cook saddle, whether new or used, is a great investment. There are so many reasons to buy this saddle, including the shop where I’m going to recommend you buy it from online. 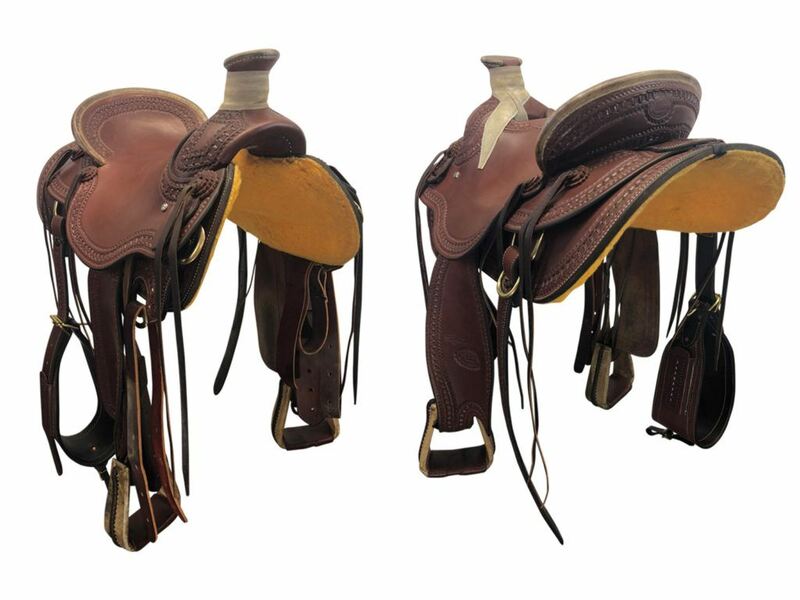 First, the used Billy Cook Arbuckle Wade Ranch Saddle is a very popular saddle because it fits a variety of horses. Second, even though it’s used, because the wood tree is covered in rawhide, it’s in mint condition and can last a lifetime. 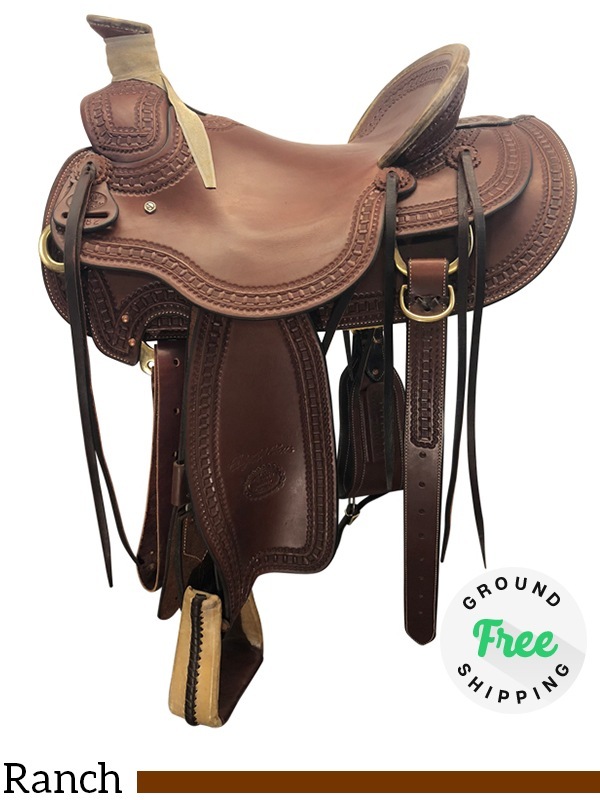 Third, in addition, to ranch work, this versatile saddle can be used for all kinds of riding purposes. Fourth, it has a 26-inch skirt with rounded edges, which means it can fit short backed horses too. Are you looking to reduce bulk so that you can enjoy your ride? This saddle has pre-twisted fenders and flat plate rigging. It also comes complete with a rear flank strap. My Billy Cook Arbuckle Wade Ranch saddle review wouldn’t be complete without my telling you where you can buy it, now would it? This used Billy Cook Arbuckle Wade Ranch saddle is being sold specifically at The Horse Saddle Shop. That means not only are you going to get it cheaper, you’re guaranteed not to get scammed! See, most times, when you buy used saddles online, you don’t know what you’re in for – and there’s no money back guarantee. So when you buy it, you’re stuck. Because the average rider doesn’t know how to measure a horse seat, they’ll often advertise on Ebay or Craigslist with the wrong specs! And once you buy it off Craigslist or Ebay, you’re stuck with it! But you don’t have to worry about that with the Horse Saddle Shop. They have their own experts, who measure the trees and seats of their used saddles. So as you can see with my used Billy Cook Arbuckle Wade Ranch saddle review, there are so many reasons to buy this saddle. And if you’re interested in viewing more used Billy Cook saddles, just visit The Horse Saddle Shop, where you’ll find reasonably priced, high-quality saddles. Please leave your comments or questions below! I will bookmark it again and print it out. I can learn a lot from it. I like horses a lot, but, unfortunately, I don’t have a chance to have one! Anyway, by reading your posts on your site, I will learn a lot about your topic. There is so much valuable stuff, that you could write a book about it easy! I wish you a lot of success with it! Thank you Igor! I’m glad you’re getting a lot out of it. I hope you’ll start riding one day. Thanks for the great information on the used Billy Cook Arbuckle Wade Ranch Saddle and where I can find one used — It is a beautiful saddle. I appreciate knowing that the Horse Saddle Shop inspects each saddle and its parts so that I can purchase with confidence. And, it’s nice to know they offer a two-week return policy and free shipping. Awesome! Hi Gina. You won’t find this two-week money back guarantee return policy any place else, especially not for a used saddle. This post is loaded with great information! I’ve learned about the advantages of buying a used saddle vs. a new one. I’m sure the price is a huge benefit as well. It’s really helpful that you tell where exactly we can buy these saddles without a risk of being scammed or mislead by a wrong measurement. It’s so important to know whom you can trust! Hi Mary. Thanks for your comment. Yes, it’s so important not to buy certain things, like horse saddles, from individuals online. The Horse Saddle Shop is really the best place to buy. As a child growing up in Arkansas on a farm I was always afraid of horses for some reason. I always wanted to ride one but never did. I like this review because I learned a lot about saddles. Before reading this, I probably would have gone out and purchased a new saddle if I got the courage to buy my own horse. But now I know it is better by buy a used and already broken in saddle. Your recommendation of where to buy is helpful also. They have many benefits of why you should purchase from them. It really puts your mind at ease. Your review of this saddle was very educational and thorough and I learned a lot. Thanks for sharing. Hi there Nate. You have good reason for being afraid of horses. They’re massive animals that can hurt, even kill, you if not careful around them. I too am still very careful around horses. They can get spooked easily and buck or even just step on your toe. This is a 1,000 plus pound animal! Buying a used saddle is a really a great option. Great post as usual. Really great information on the used and new saddle option. Something about saddles. I love looking at them haha! You give a great review on the difference. I would certainly purchase the used after reading such a great review. Will share with my horse buddies. Thank you. Hi Kevin. I really love the used saddles better than the new ones. I love that they’ve been broken in already. 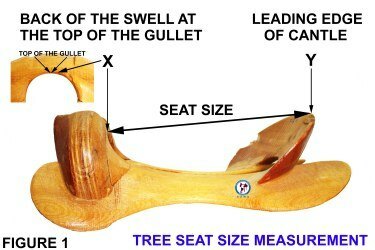 Great information on a used Billy Cook saddle. I used to think that buying a used saddle was not such a good investment, but after reading this post, I can see that this would be a great choice over buying a used one. For me, the price is a huge factor. I see that the Horse Saddle Shop is really a great option for me. Love your website. Thanks! Hi Matts Mom. Thanks for stopping by and commenting. Yes, buying a saddle can be very expensive. So buying a used one saves you a lot of money without foregoing quality. Awesome article I live near an equestrian center and a community and have a real interest in learning how to ride. This is great information. Hi Markeysha. I’m glad this post was helpful. Great and very specific post. You provide with detailed and very useful information. Really interesting. And expert suggestions for those that need your advice. Some information I never knew. Can you write a post about Feedbags? Hi Patrick. No. I won’t be writing about feedbags because this is a site strictly about Western horse saddles. This is a beautiful post. I don’t own a horse and I only get to ride one at the country club, but I believe anyone who’s been on horse back before knows how it can turn into a bad experience if the saddle isn’t up to par. That makes me appreciate this post about these amazing horse saddles. Good job. Hi Mitala. Thank you for your comment. Yes, it can turn deadly if you don’t have the right saddle. So many things can go wrong, like a nail from the saddle digging into your horse’s back. Thanks for sharing this great information. I used to barrel race in my youth and the Billy Cook saddle is a standard. There wasn’t this much information available then, or a reputable source for buying used saddles. You are providing a much needed service! Hi Kyle. Thanks for stopping by and commenting. I’m so glad that I can assist other riders in finding more information on Western saddles. I am not into horses, but my younger daughter likes horses very much. I find your review very educational. I also like your website. It is appealing and it shows your hard work and dedication. Great job! Hi Dragana. Thanks for commenting. I hope I can be of assistance to your daughter when she’s ready to buy a saddle. Great post Salisha. Those are gorgeous saddles. Agree that used is already broken in…just like a shoe. A new shoe takes some time b4 it can be used properly. The Horse Saddle Shop looks very expert. I agree that measuring needs to be expert and not some random dude on ebay doing it. Hi Ravi. Thanks for your comment! Yes, having a broken-in saddle is so much better than buying a new one – especially if you’re not competing in any way. Another wonderful and informative post, I have been learning so much from your posts!!! I fell in love with some beautiful horses this past week, and I recognized the type of saddle they were using on the horse thanks to your amazing posts! Hi Brianne. I’m so glad my post is enabling you to make wise decisions about saddles. Let me know what type you plan on using. I’m happy to direct you to some of the best ones. I love the Billy Cook Arbuckle Wade Ranch Saddle! I prefer used saddles, but the fact that this saddle uses the rawhide component makes the used saddle look and feel fresh/new. 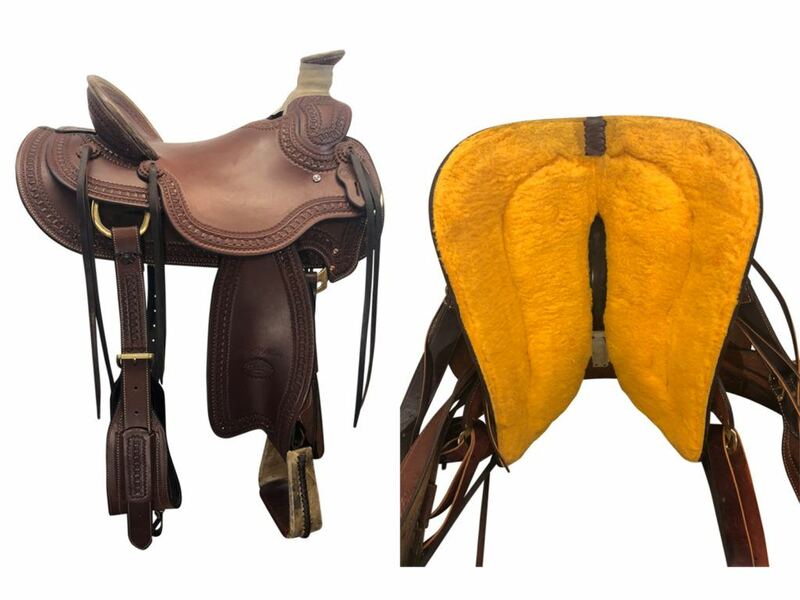 Broken in saddles are so much more rider friendly to busy riders, and the Billy Cook Arbuckle Wade Ranch Saddle is at the top of the list in terms of ability and durability! Hi Andrew. Thanks so much for your comment. The good news is that this saddle comes in new and used form.